Frankenstein's Wedding features the marriage of the Frankenstein Monster to his bride, presided over by a maniac preacher as the main display you can see. There are also many other features on display here, a creepy cemetery in the front lawn, creatures everywhere you look, even on the rooftop! 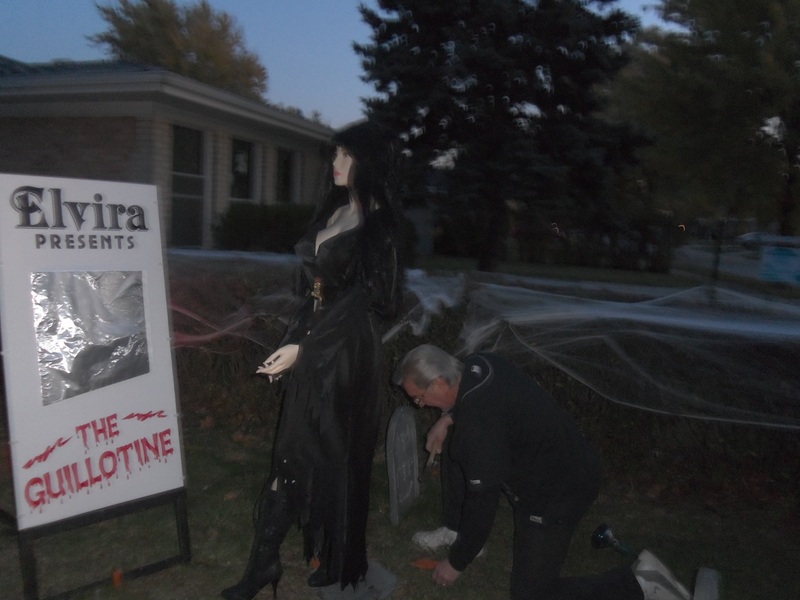 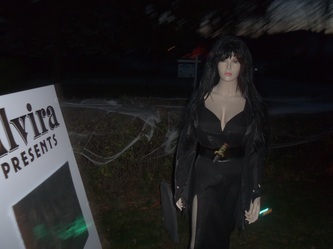 Elvira can also be seen getting ready to present a showing of "The Guillotine" directly following the wedding reception. 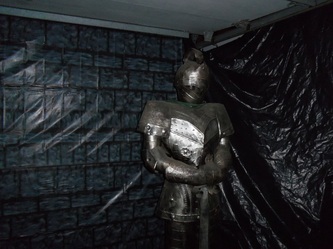 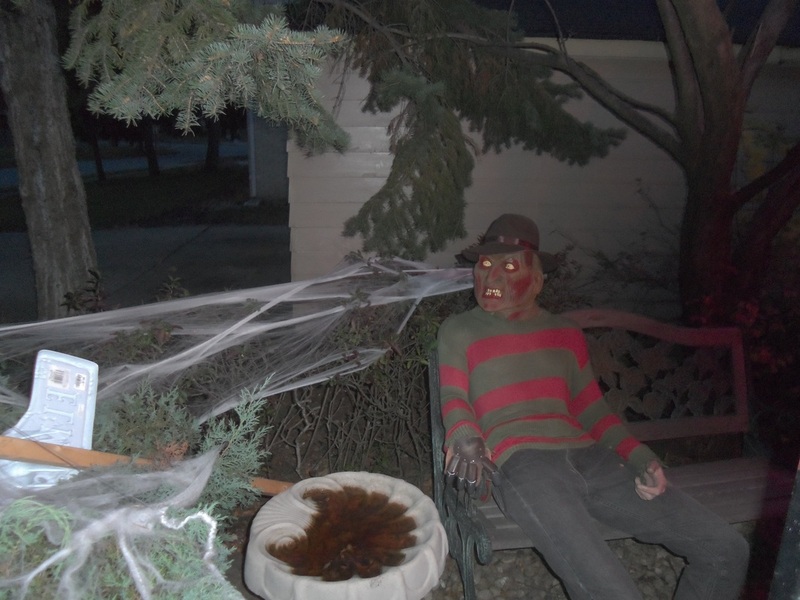 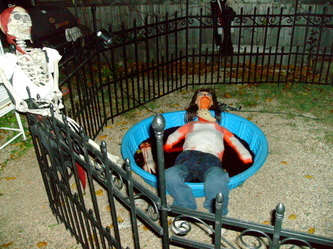 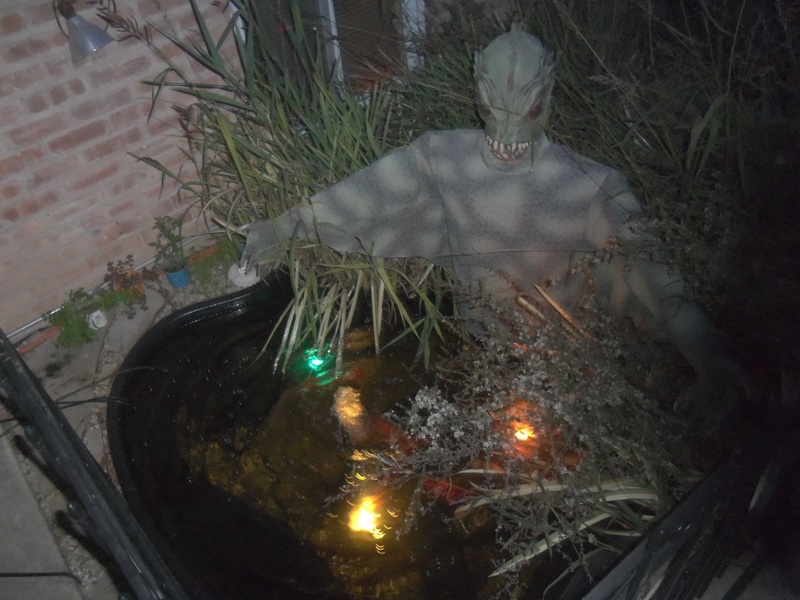 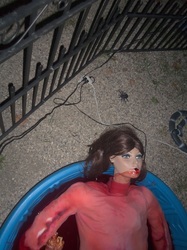 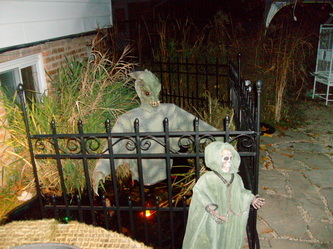 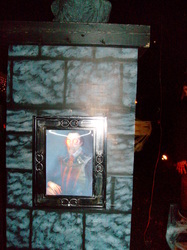 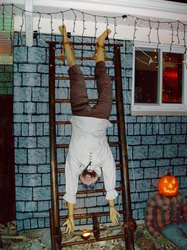 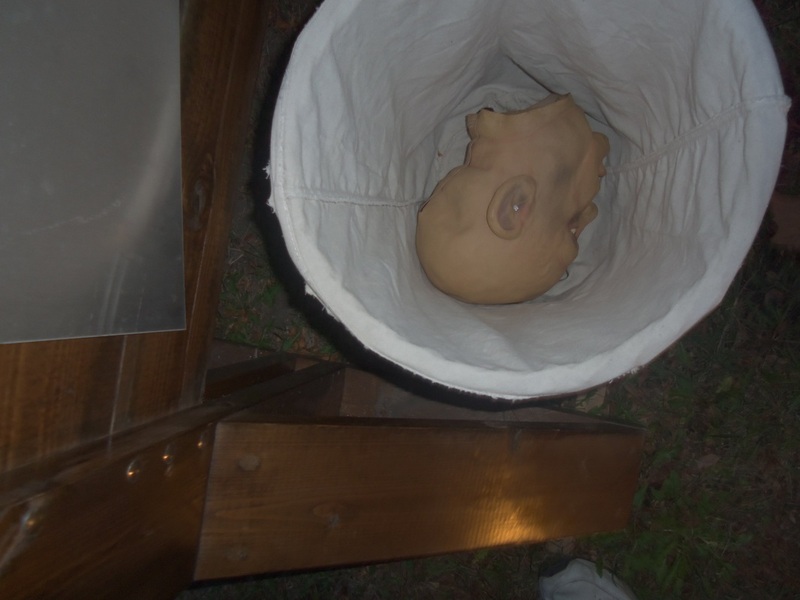 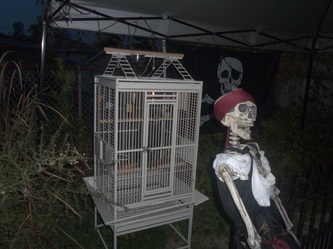 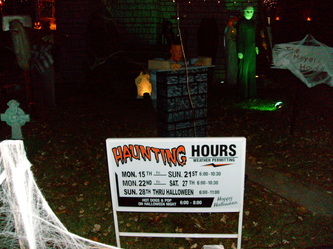 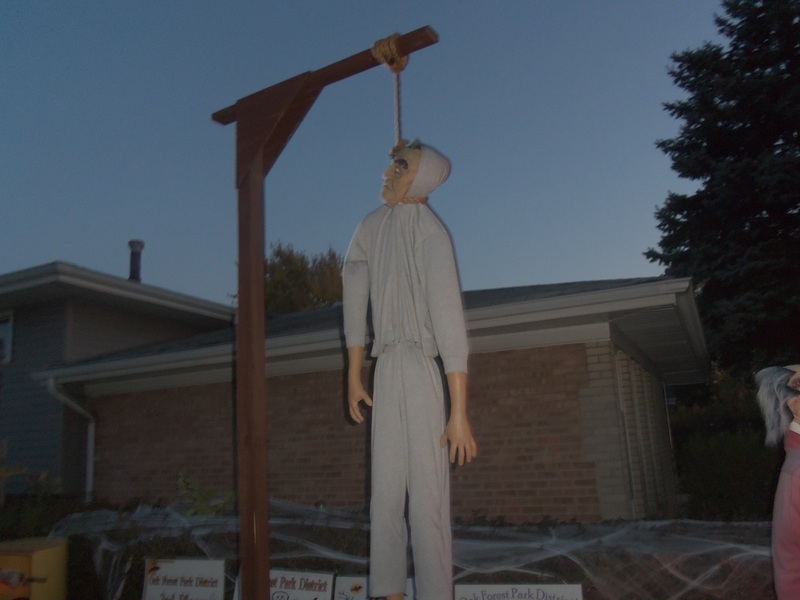 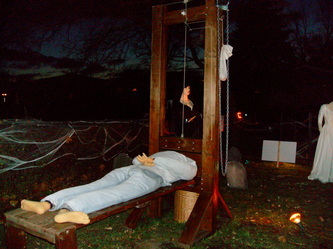 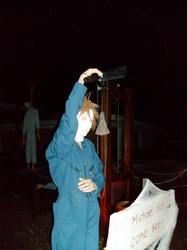 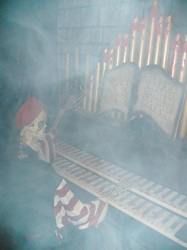 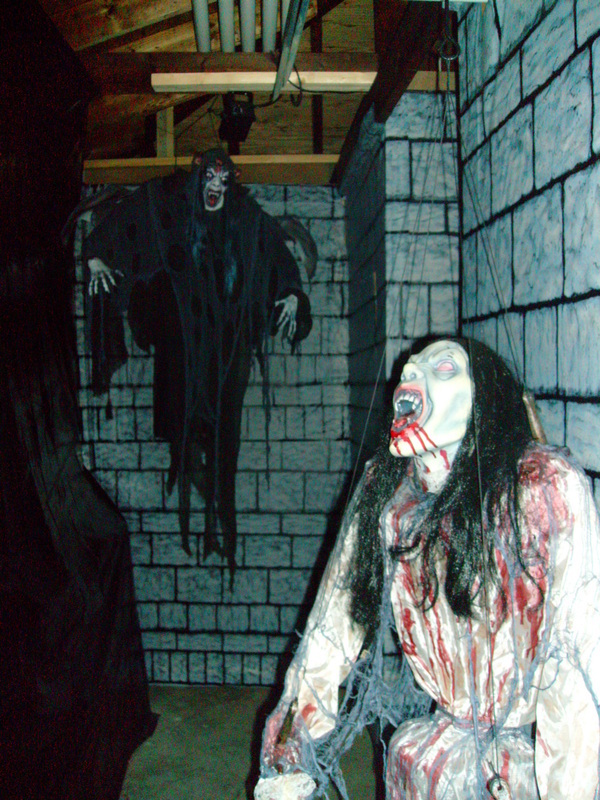 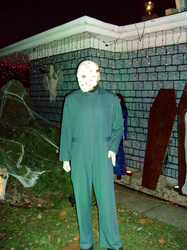 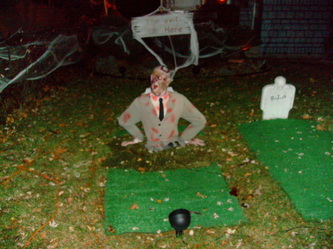 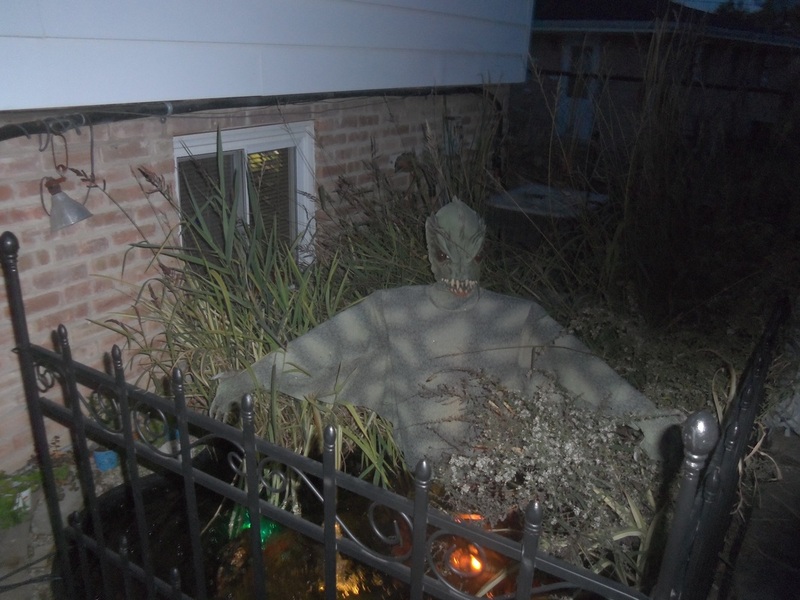 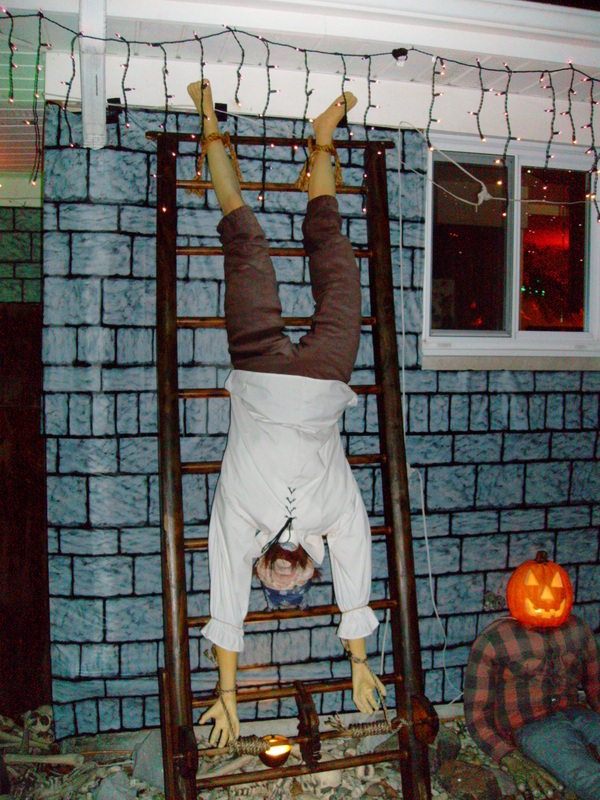 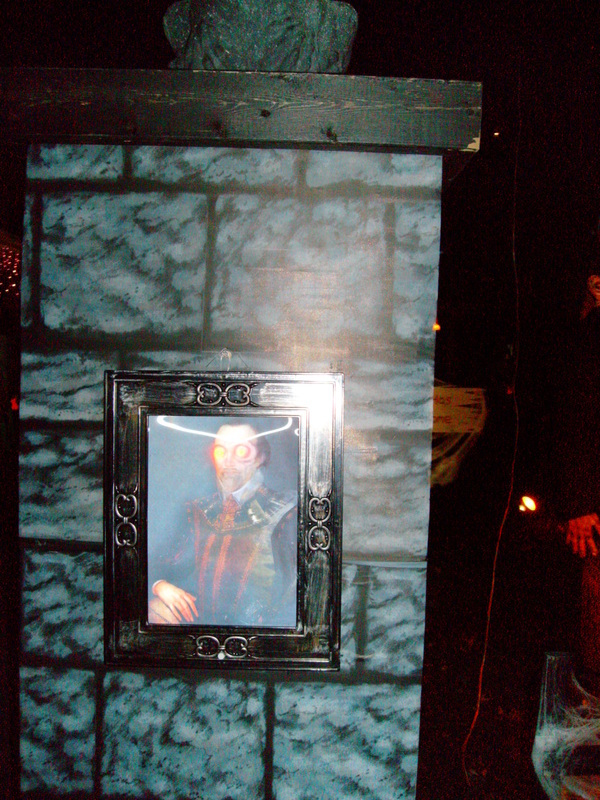 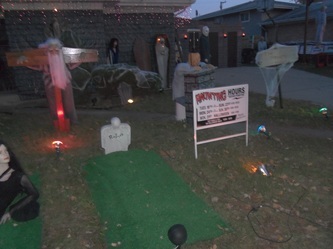 This unique home haunt also features a complete walkthrough of the garage which contains various assortments of creepers, and the terror doesn't end there as you wind through a creature infested lagoon, meet menacing pirates and watch blood-curdling scenes while making your way around the pool of terror in the back yard. 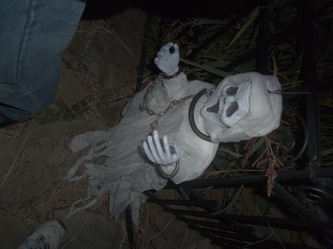 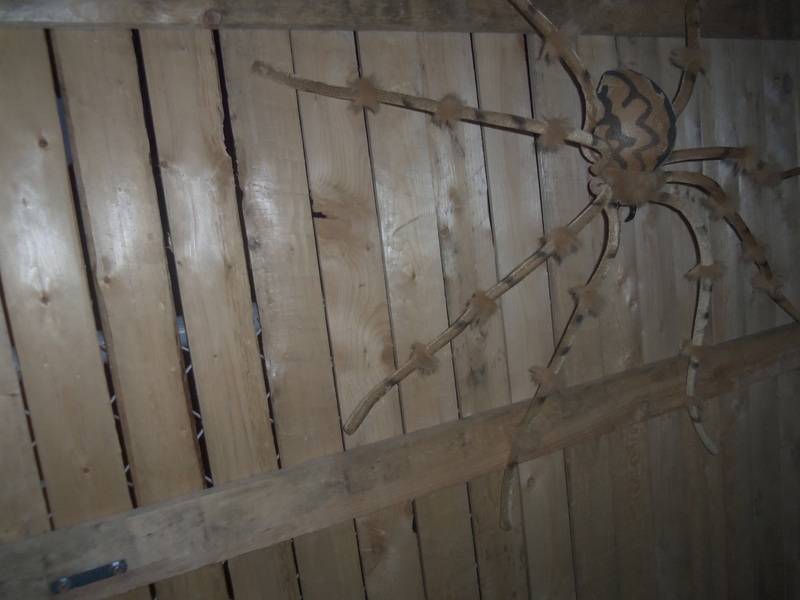 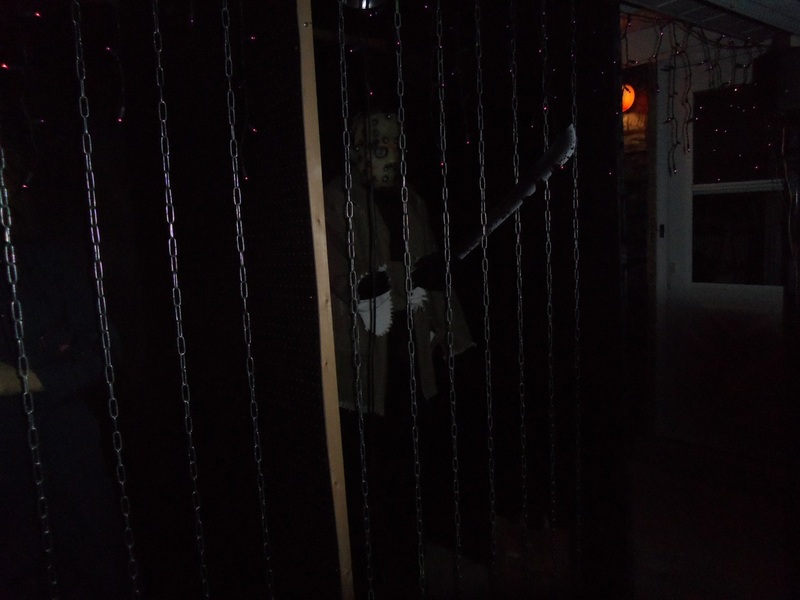 All of the torture instruments seen in this haunt were built be the owner himself, and he provides informational sheets for each one for visitors to take. 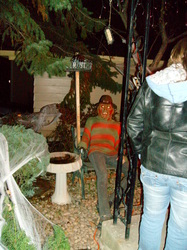 The owner can frequently be seen outside and he's more than happy to show people around as he's very proud of his haunt. 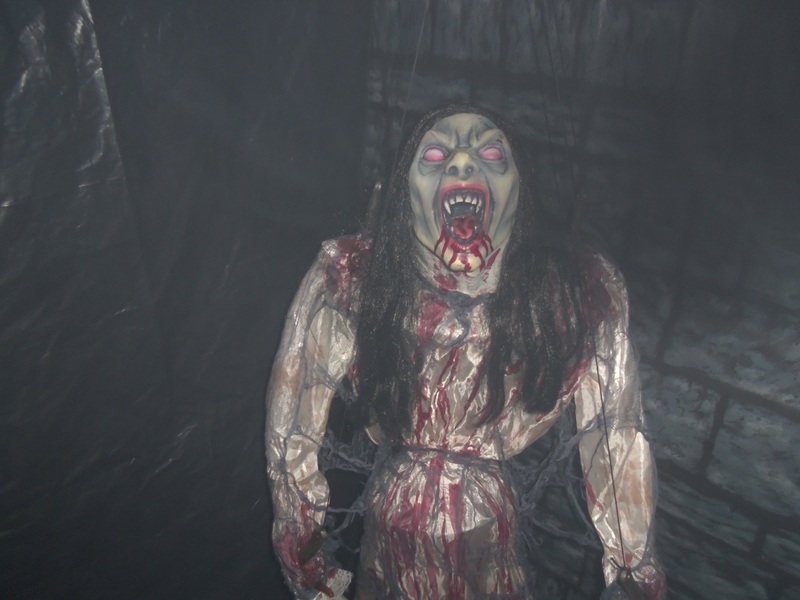 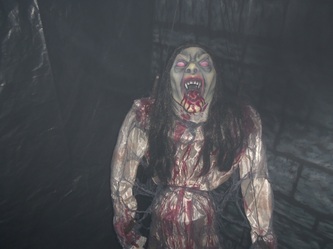 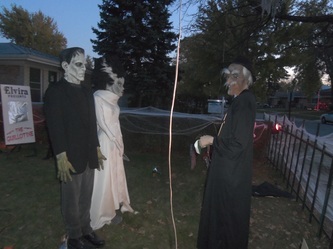 This haunt frequently runs behind schedule on the days leading up to Halloween - but it is well worth the trip to check out Frankenstein's Wedding. 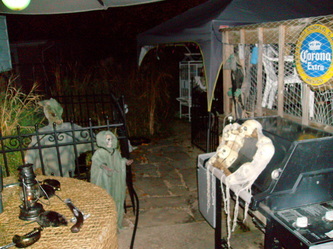 Visitors on Halloween night have been known to be treated to some hot dogs and beverages cooked out on the grill by the haunter himself. 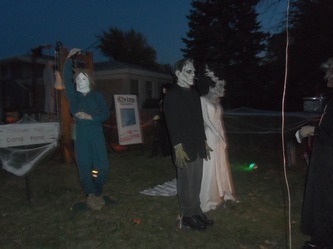 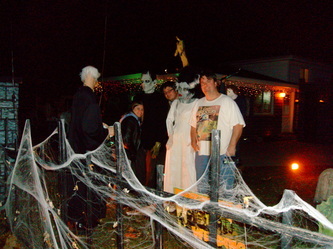 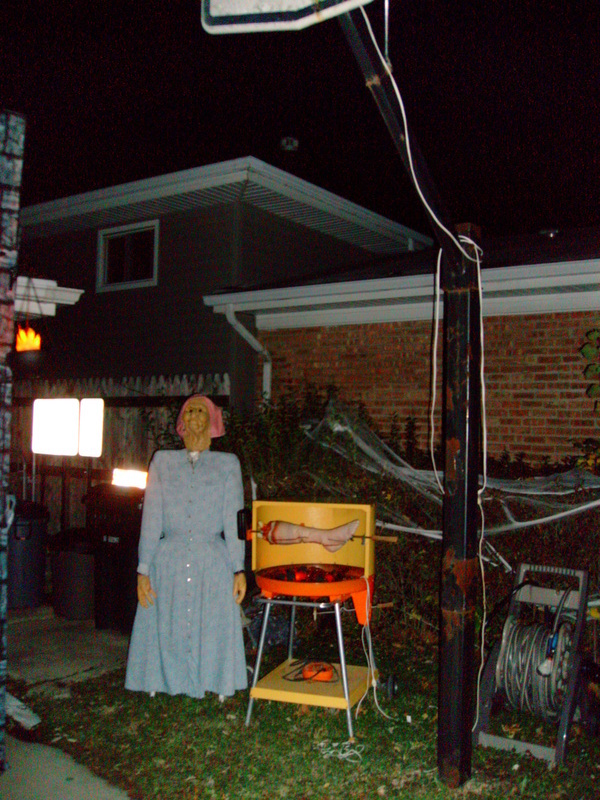 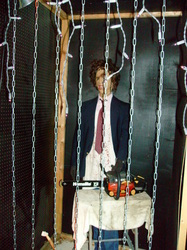 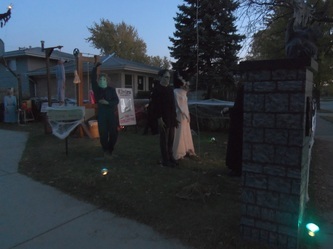 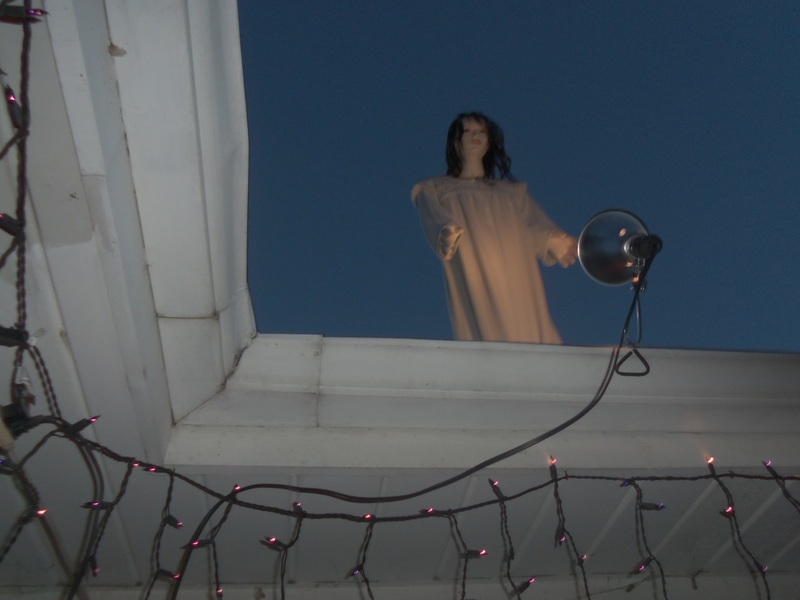 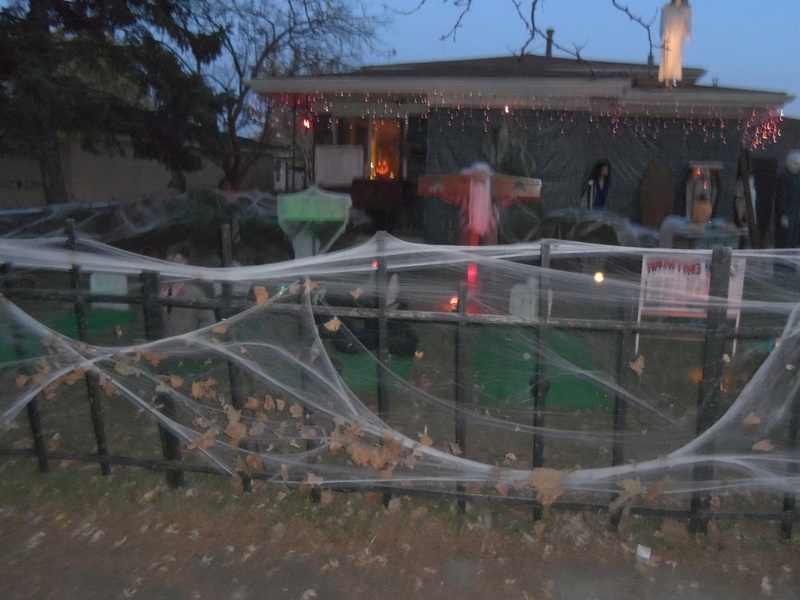 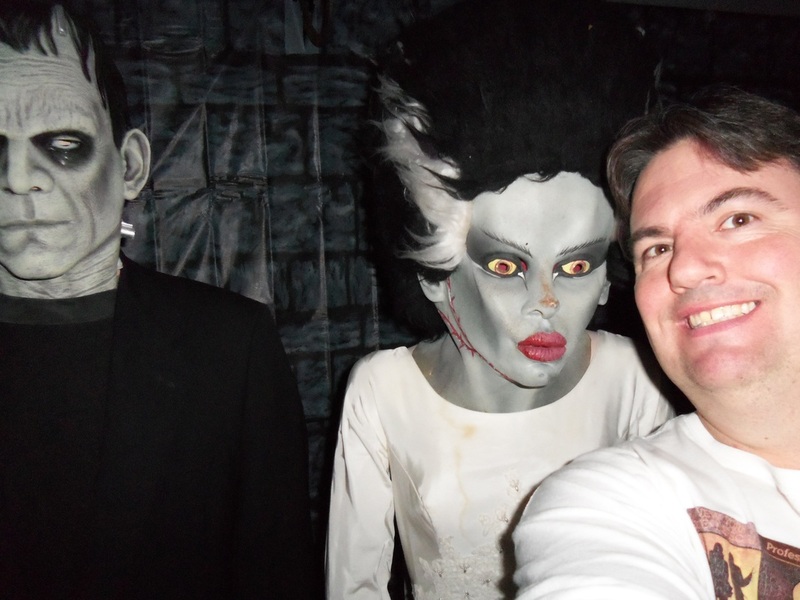 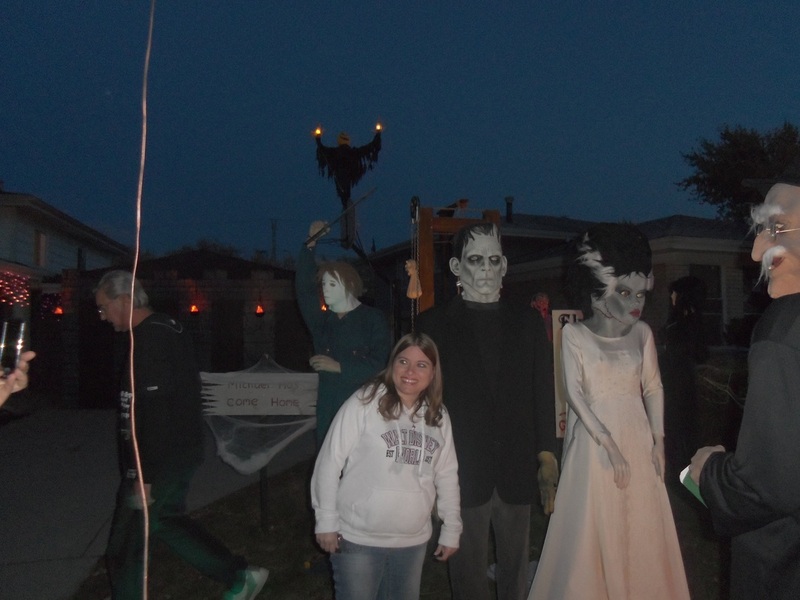 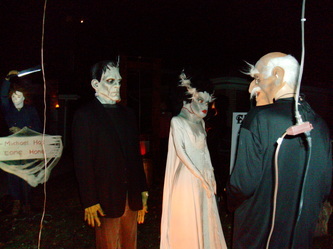 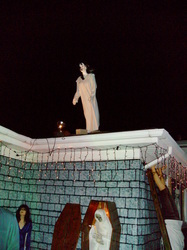 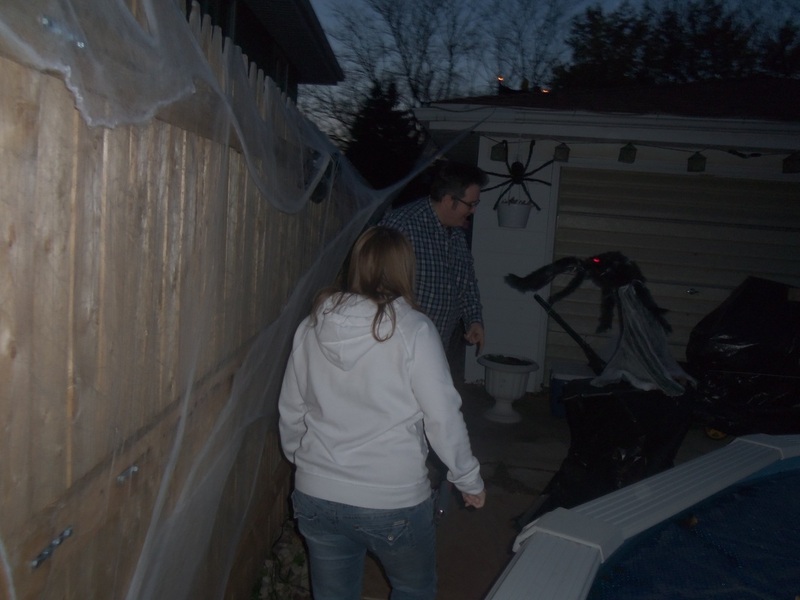 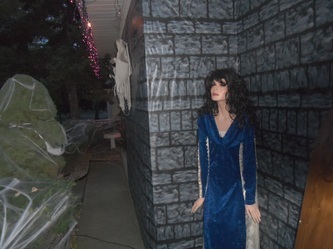 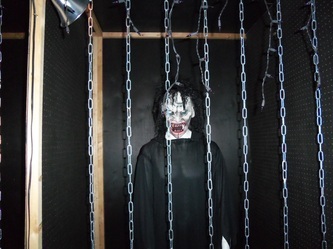 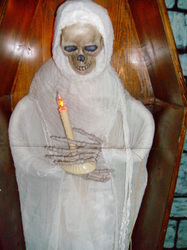 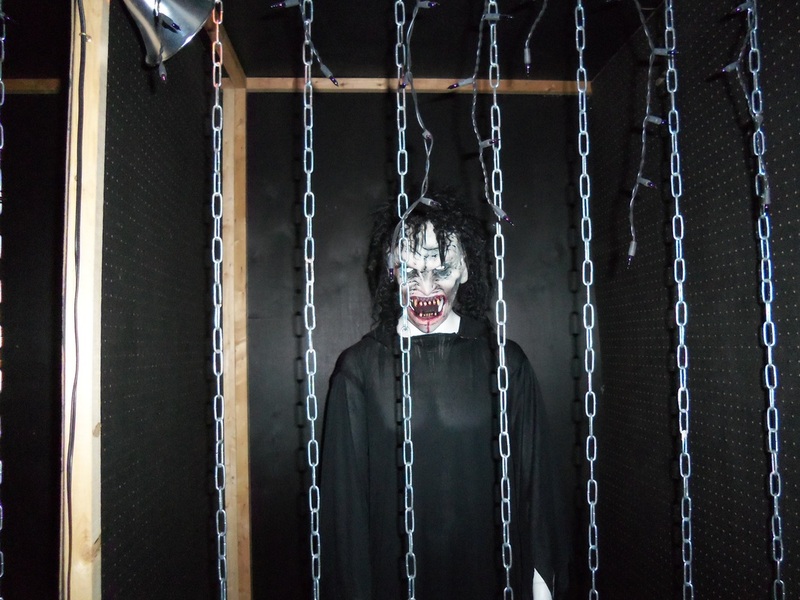 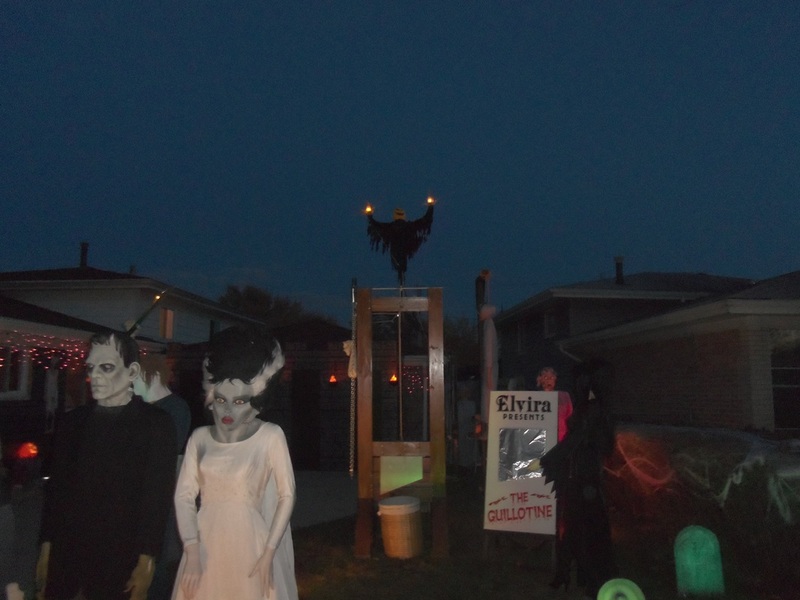 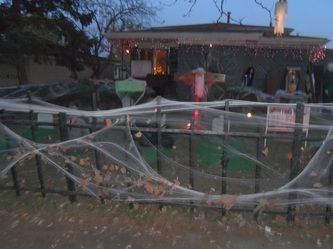 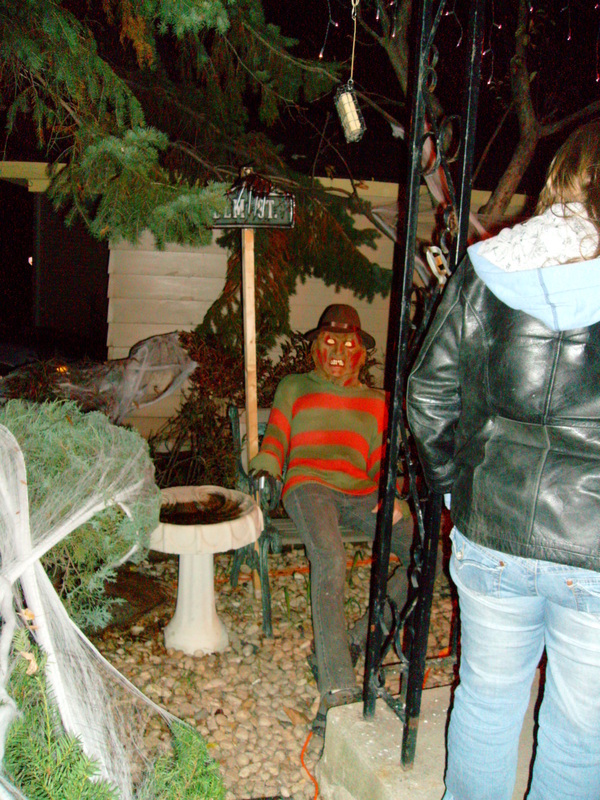 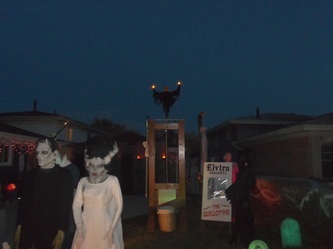 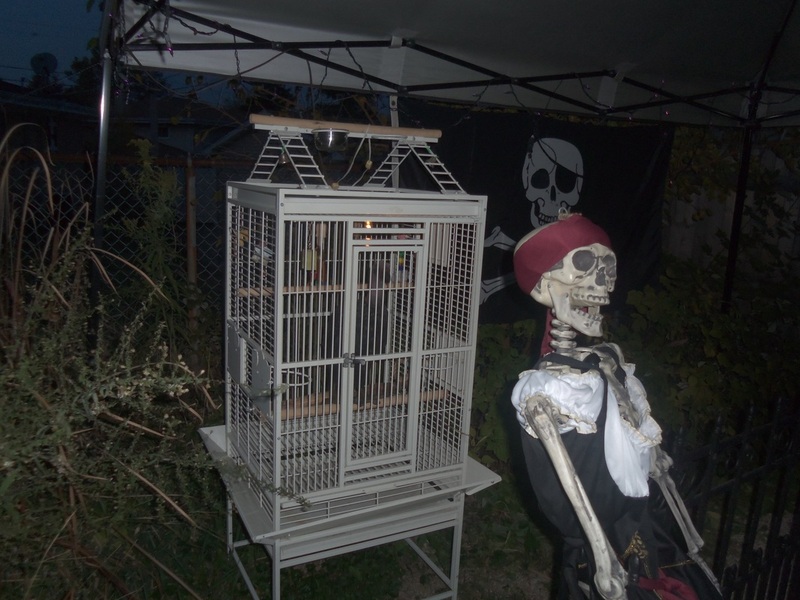 2011 showcased an expanded Frankenstein's Wedding, complete with garage and backyard haunt. 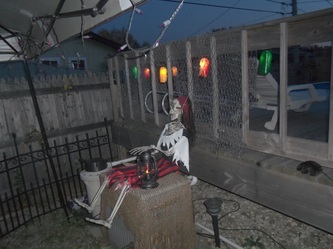 New additions included some skeleton pirates in the gazebo, and some poolside giant spiders, as well as a drowning victim in the pool, complete with automated bubbles. 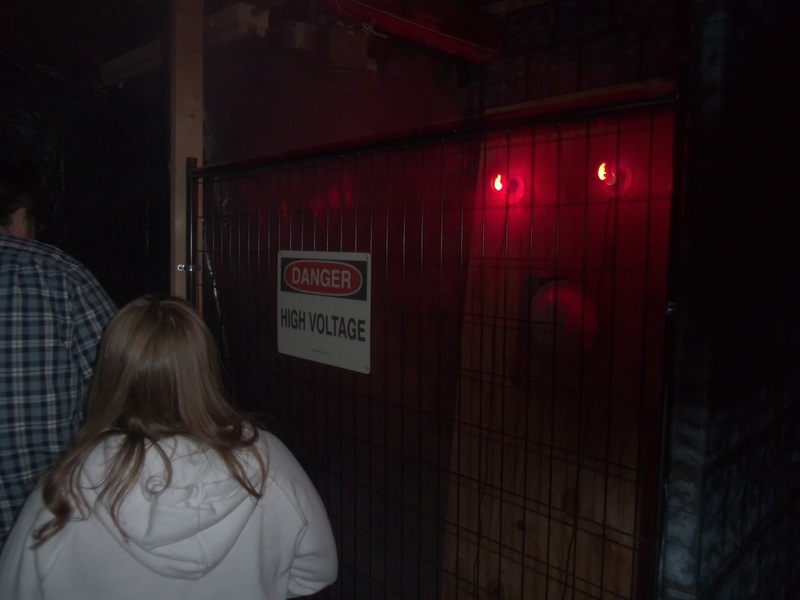 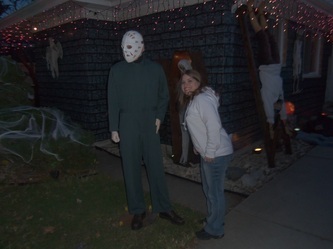 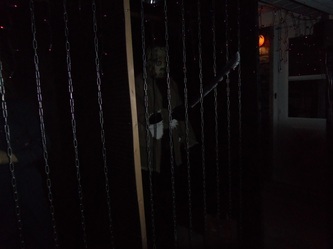 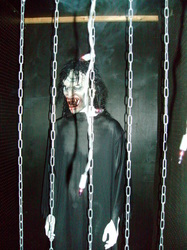 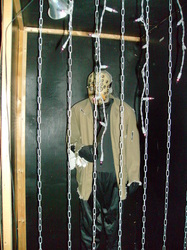 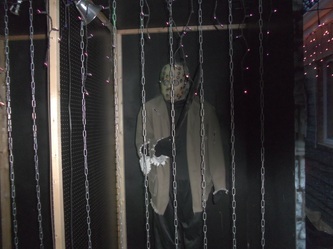 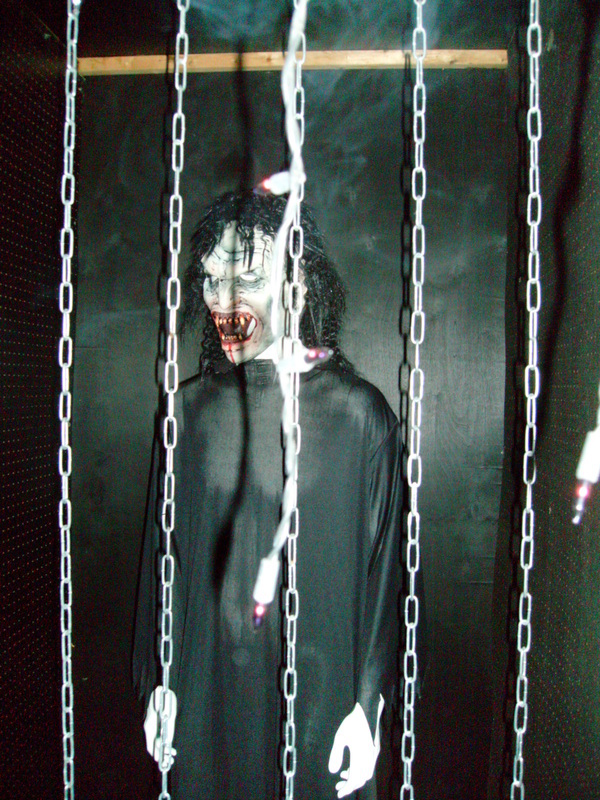 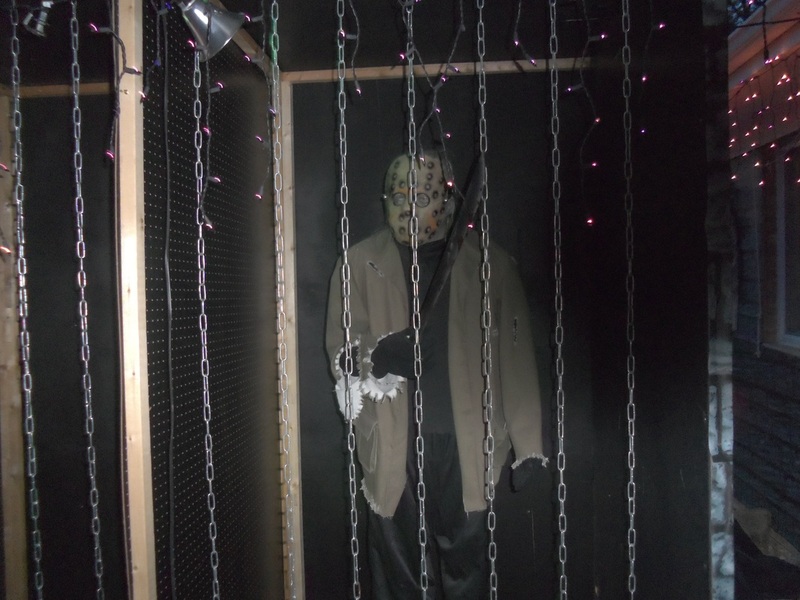 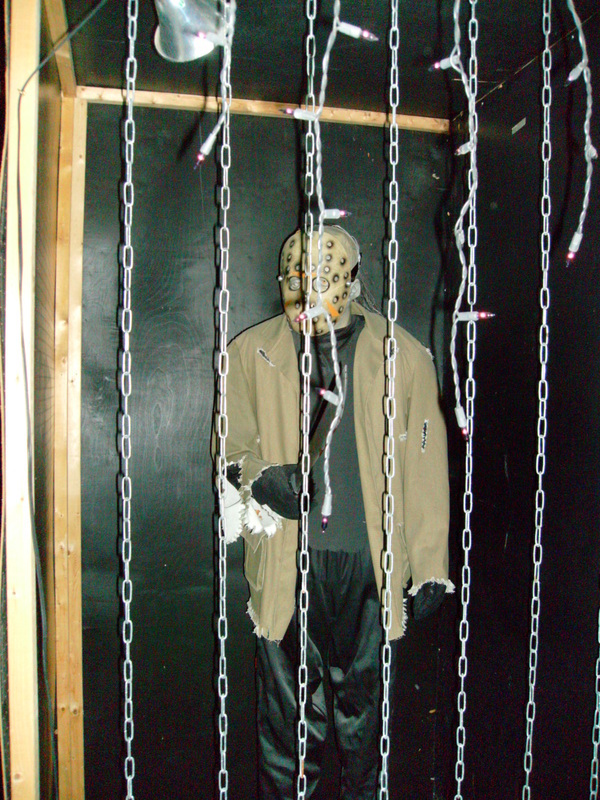 The garage part of the haunt included an animatronic Jason Voorhees and other creatures in cages, as well as an electrified cage for a live actor to use to send sparks flying at unsuspecting visitors. As always, Frankenstein's Wedding provided a great haunt, and the enthusiasm of the owner really shines through in the creative and inventive displays. 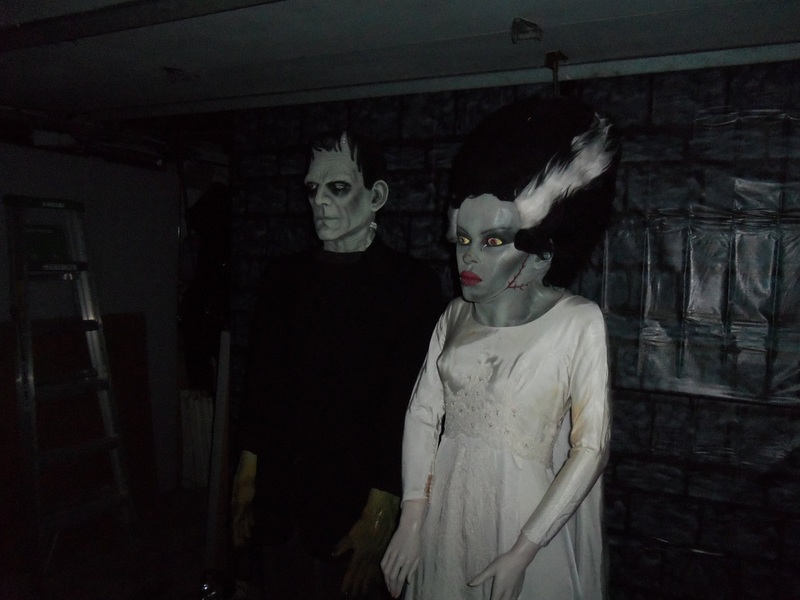 2012 brought some new additions to Frankenstein's Wedding. 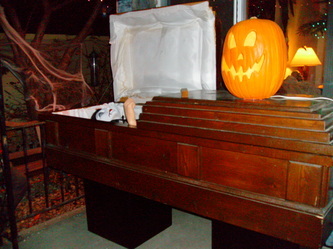 In addition to the standard displays of the Monster and his bride, Mike Myers, Jason, Resurrection Mary, Elvira and others, this season featured Leatherface, an upright skeleton in a coffin, and a pirate skeleton playing the pipe organ. 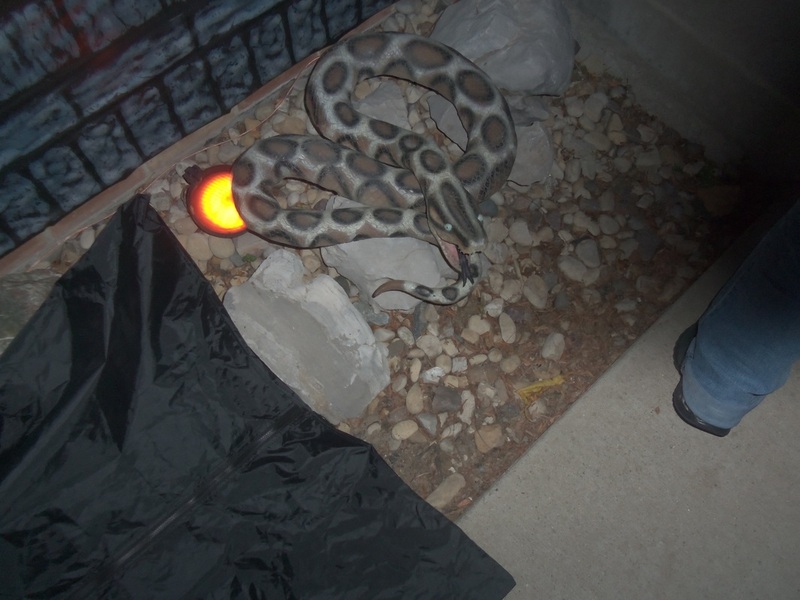 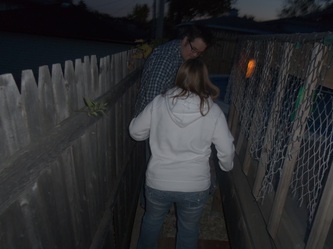 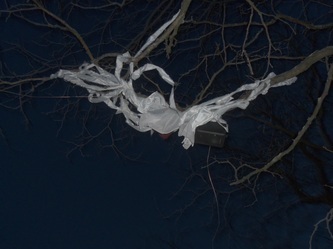 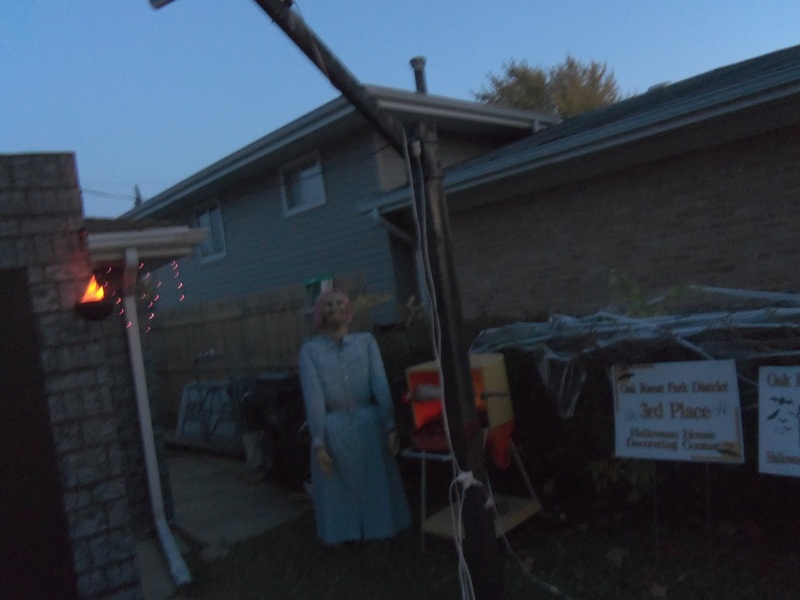 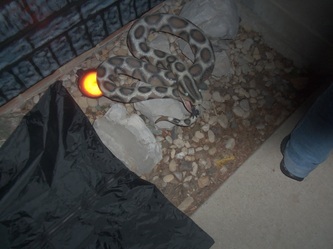 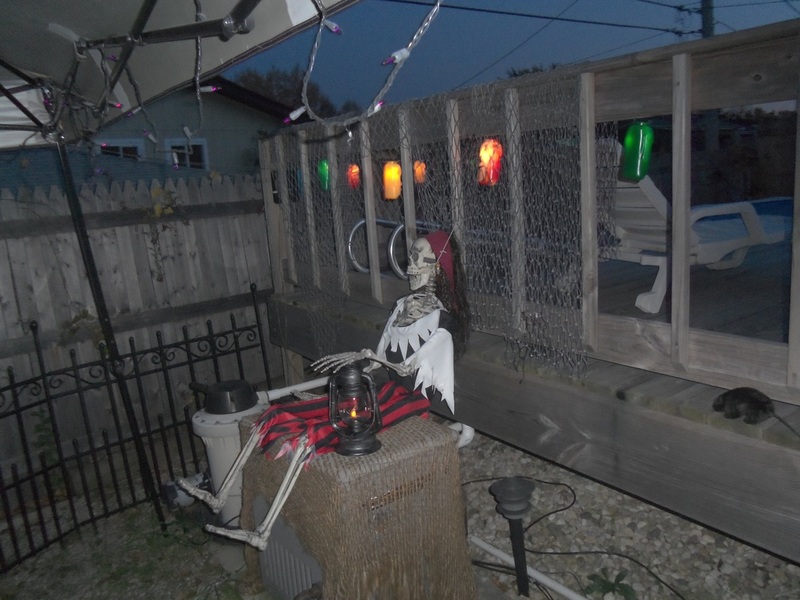 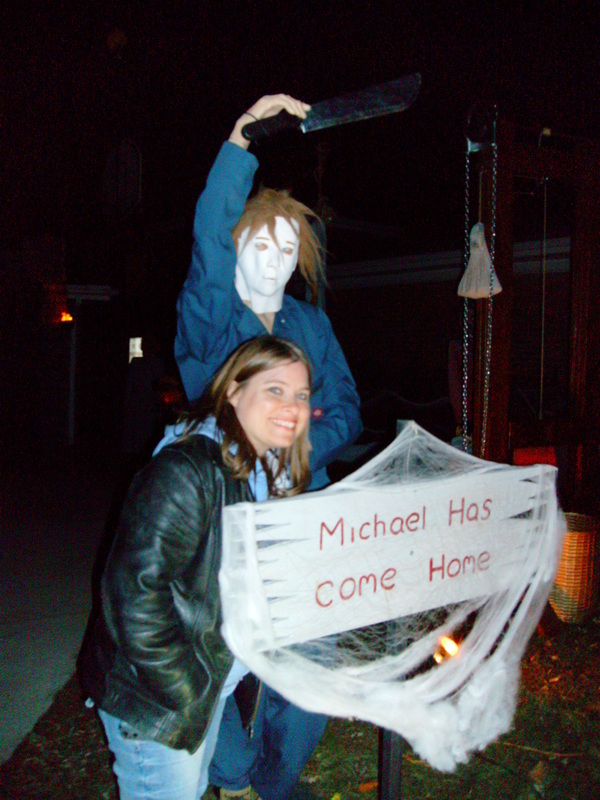 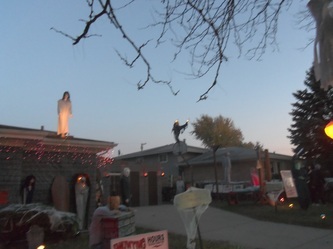 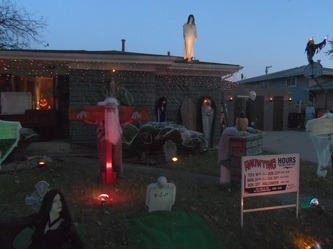 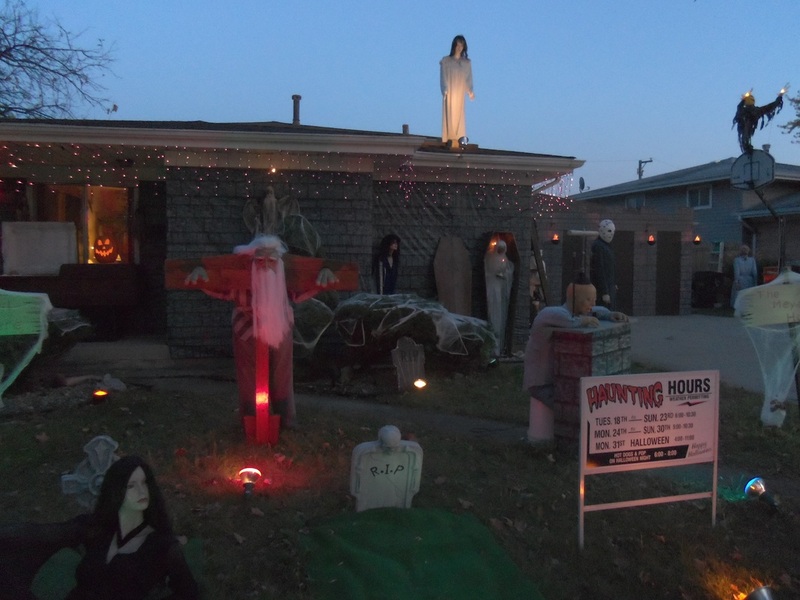 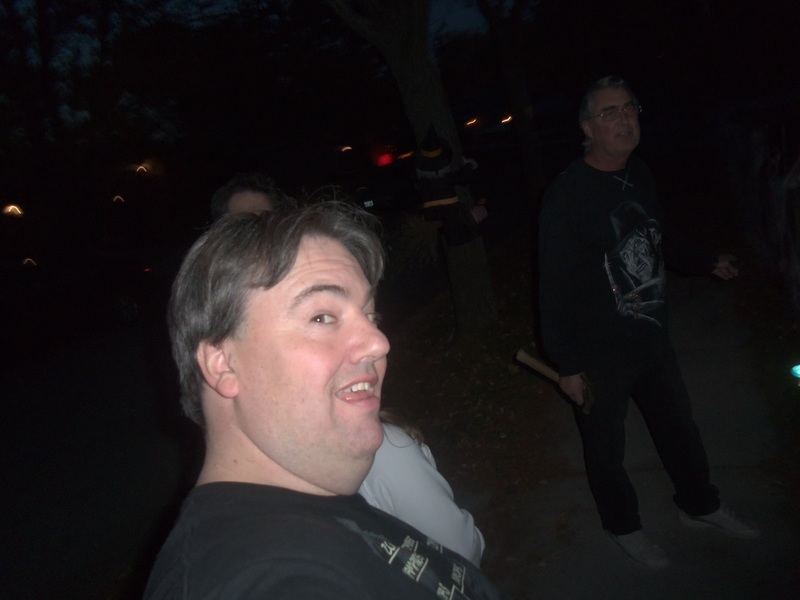 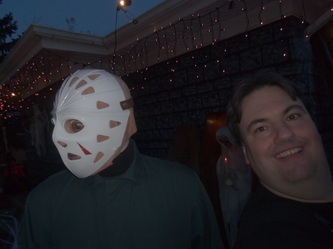 In addition, some new, creepy lighting was added, both to the front yard and the backyard, and Mike Myer's arrival was proclaimed with a sign telling everyone that he had come home. 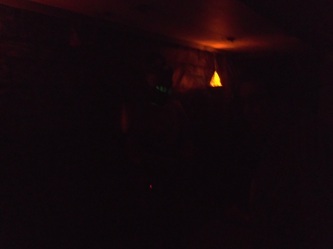 The garage and backyard haunt were excellent as usual, and well worth the trip to Oak Park. 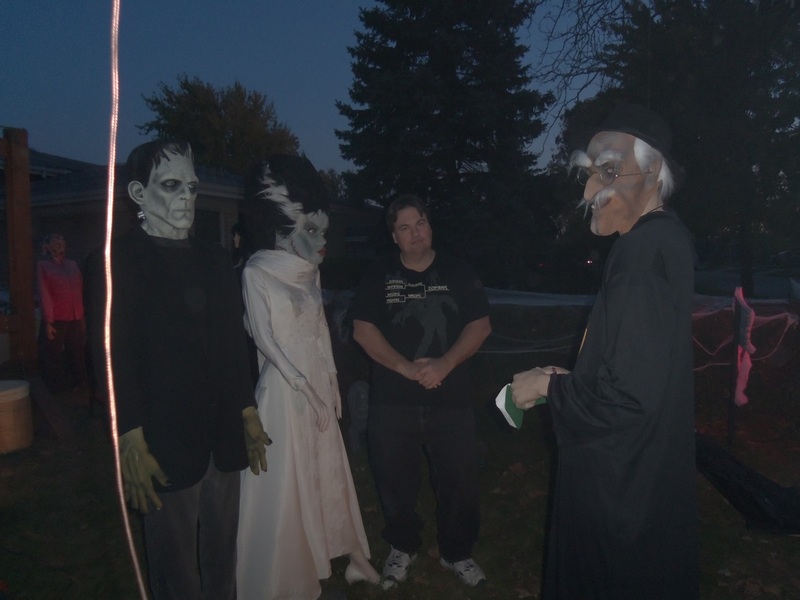 Frankenstein's Wedding continues to be a labor of love for its owner, and it's one haunt the Tourers always make a point of returning to. 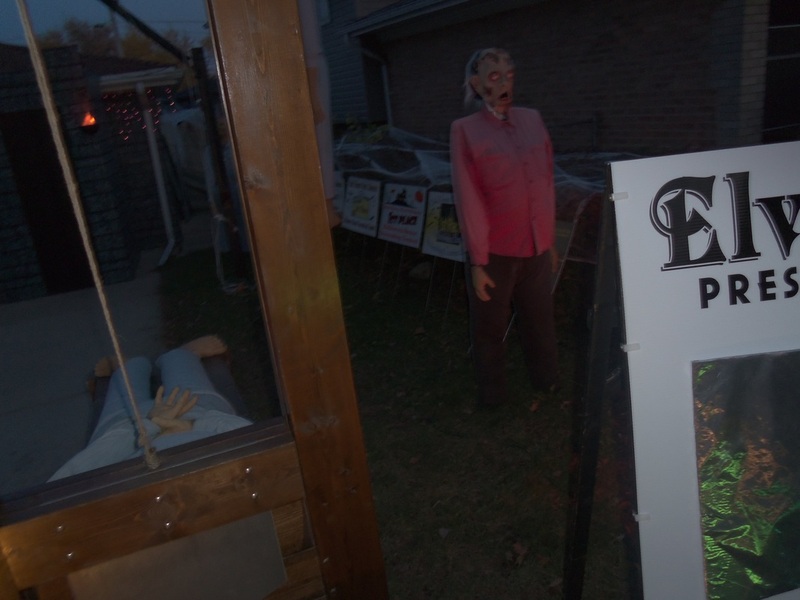 If going to this haunt on Halloween night, make sure to come early, as free hot dogs and pop are given away, and crowds grow very fast. Don't come late and be disappointed!